The United States, through the US Agency for International Development, has provided a fresh $9.5m (N3bn) to the United Nations World Food Programme. The grant is to ensure that more than 175,000 mothers and children under the age of five do not suffer from malnutrition during the 2017 “lean” season, a statement by the US Diplomatic Mission to Nigeria said. According to the statement, the grant was meant to augment ongoing humanitarian efforts in Nigeria by the USAID’s Office of Foreign Disaster Assistance and Food for Peace. 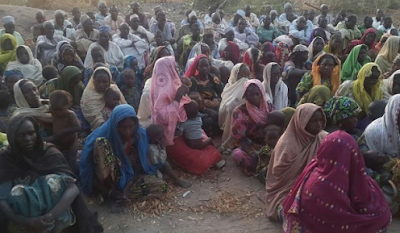 The agency also said the grant would help to improve the health of children aged six months to five years and lactating women in Internally Displaced Persons camps in Borno State.